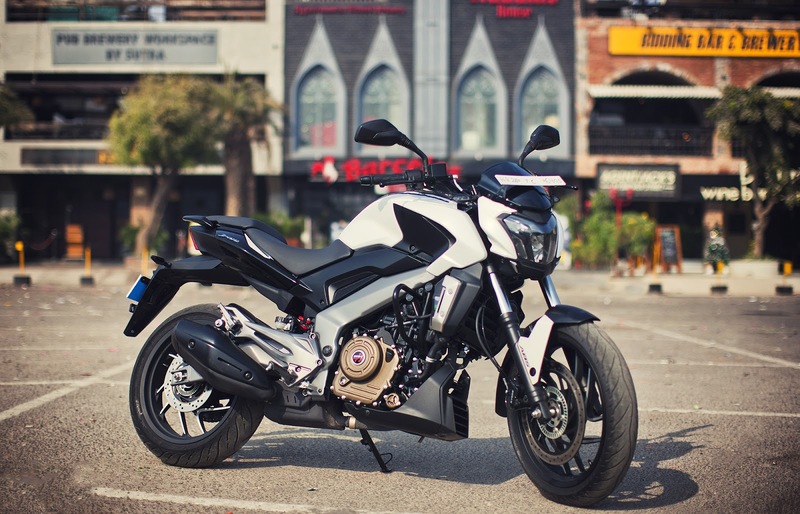 When Bajaj launched the Pulsar 200NS, the company made a very bold statement, that as a motorcycle manufacturer, it's willing to go back to the design boards and get serious about getting the engineering right. 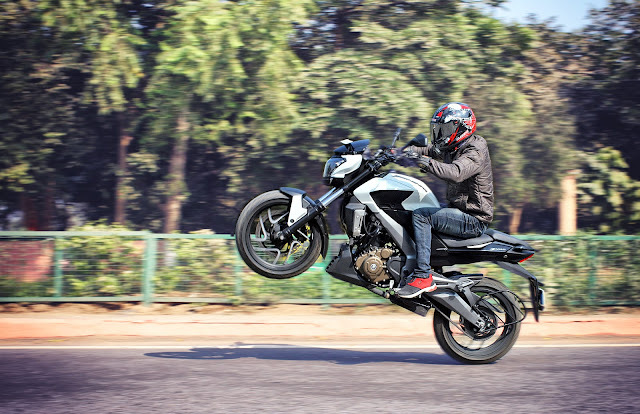 With the Bajaj Pulsar 200NS, we saw Bajaj adopting a perimeter frame for lateral rigidity, we saw Bajaj opting for pre-load adjustable rear mono-shock, but above all, we also saw the first Love Child of the KTM-Bajaj joint venture, in the form of the all new DTS-i engine platform and that ladies and gentlemen, was the biggest statement that Bajaj made - that the Pulsar 200NS won't be the last of the Mohicans and that, bigger and better is on it's way and that Big and Better is the all new 2016 Bajaj Dominar 400. The moment you see the Dominar 400, it's proportions capture your senses. The brawny front end, the beefy and sculpted tank cover, the substantial mid frame - the Dominar has been designed for dominating road presence, and that was very evident while we were doing our ride. There was not a single soul on the road who could escape the glance of the motorcycle without getting inquisitive about it. As you slide through Dominar's proportions, you would be forced to notice how each component fits into another. For example, all panels fit into each other nicely. There are no un-even panel gaps that you would find on the motorcycle. The tactile feel of the components and switches is just amazing, the texture of handlebar grips feels soft and gives a very comforting touch. 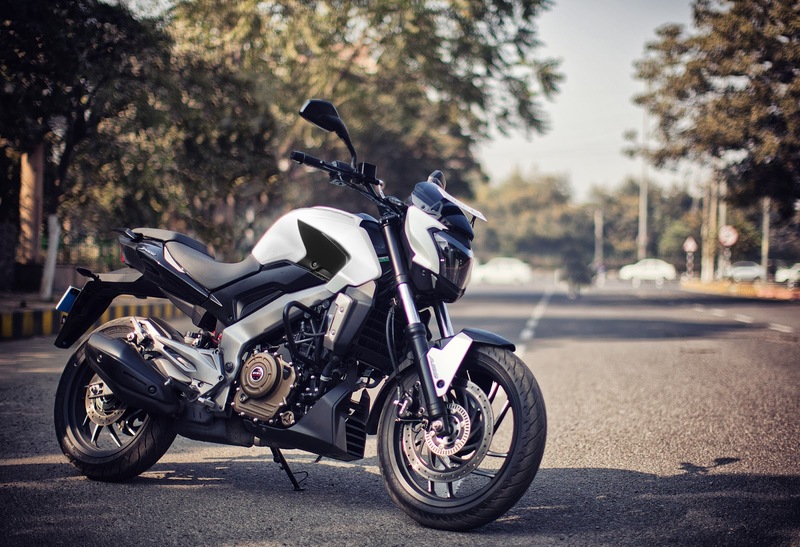 As you move your fingers through the body panels (I know you must be imagining something else here, but I am talking about the motorcycle), a sense of premium-ness captures you and I can vouch for the fact that, had this not be known that the Dominar 400 is a Bajaj product, no one on this planet could have guessed that it is indeed one. I know that is a loaded statement if there was one! Well, the headlamp cluster of the Dominar needed to be mentioned individualy, because it's that Good!! Not only does it looks good and menacing, but it a very functional unit, with Bajaj claiming that light throw captures a distance of 1.5 km. 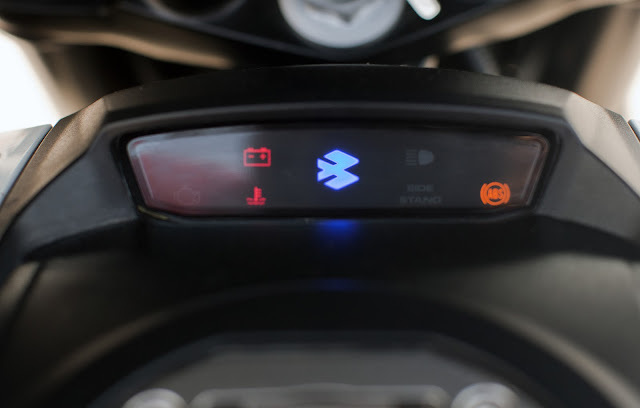 The cluster works as a two component unit, with the side cluster lighting up with ignition and is the Always-On kinds (good that Bajaj is thinking from the perspective of security), and the middle cluster getting it's dedicated control switch. 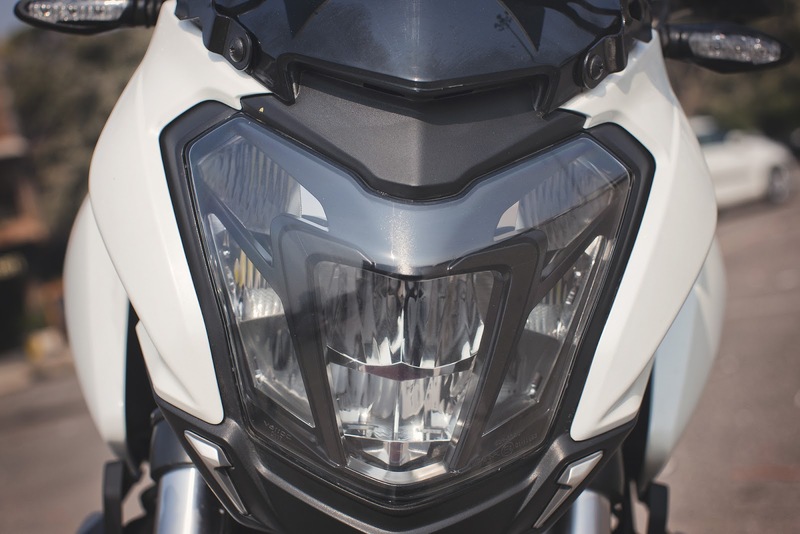 The headlamp defines the face of the Dominar 400, and it's quite a handsome face at that!! It's a treat to watch the Dominar 400 coming towards you with those clustered LED lights on. Crank on the Engine and it quickly settles down to idling at round 1200 rpms, with a very deep and smooth engine note. There's no sense of urgency and edginess in the engine. 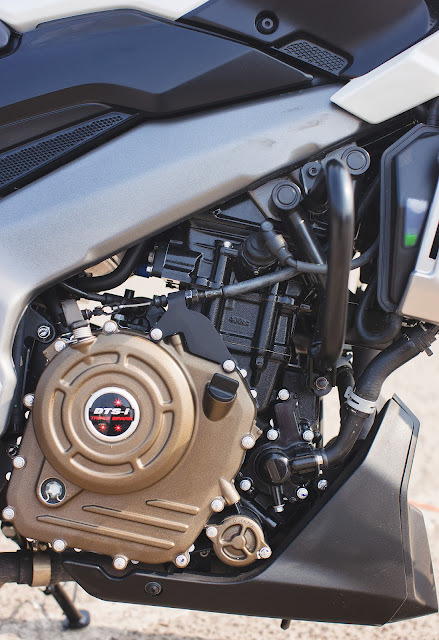 Even though the Engine architecture is shared with that of the KTM Duke 390, this engine has more to do with the Pulsar 200 NS DTS-i engine than the Duke's. 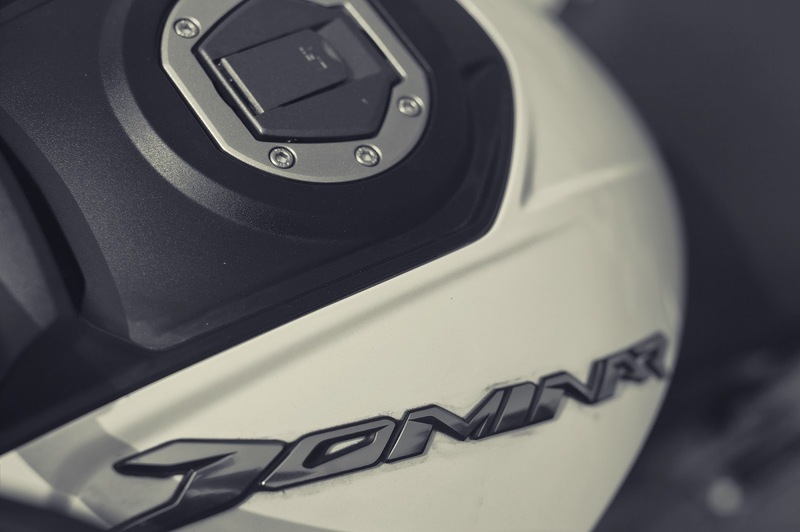 Producing a peak power of 35 PS @ 8000 rpms and peak torque of 35 NM @ 6500 rpms (compared to peak power of 43 PS @ 9500 rpms and peak torque of 35 NM @ 7250 rpms of the Duke 390), the Dominar 400 dominates the low and mid-range power delivery, making the engine way more workable and drive-able in city and highway riding conditions. Thanks to lower compression ratio of the Dominar 400 (as compared to KTM Duke 390's engine), in slow moving traffic, we were able to effectively negotiate the hustle in 3rd gear and at speeds as low as 15 kmph, and that too without using the clutch for once, and without any sort of engine knocking and without stalling the engine even for once. 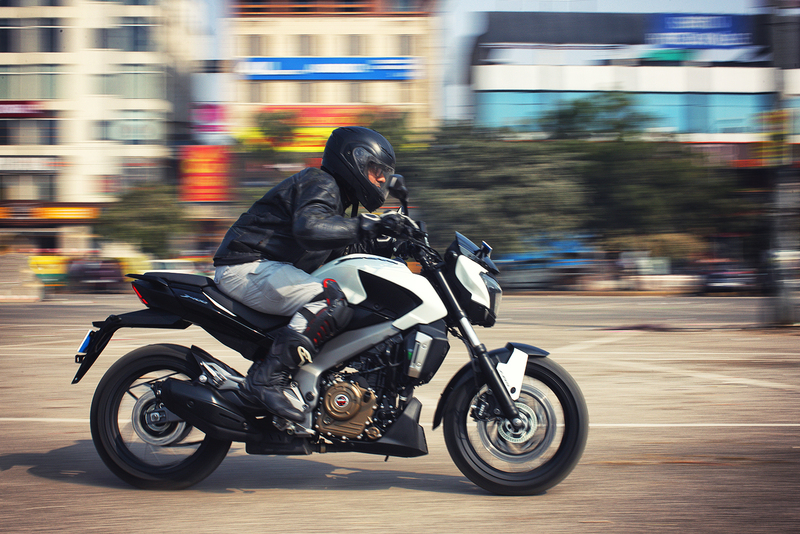 All you need is to properly modulate the super responsive throttle to your advantage and your life is sorted. Pulling out of those low speeds to well past 80 kmph in 3rd cog is just as effortless. The engine feels stress free throughout the rev range (though we would like to mention that since the review motorcycle was still under run-in, we didn't give the bike the full stick) and is a butter smooth operator, with almost zero vibes coming to the handlebar and foot pegs in the low and mid range. We would like to mention here that the review unit was running in and was operating with mineral oil. Post running with synthetic oil, the vibes would further reduce and would be almost non-evident. It was only after extended riding, that a "sense" of harshness was trickling into the ride quality, and that has more to do with an engine that's into it's run-in phase with mineral oil than anything else. 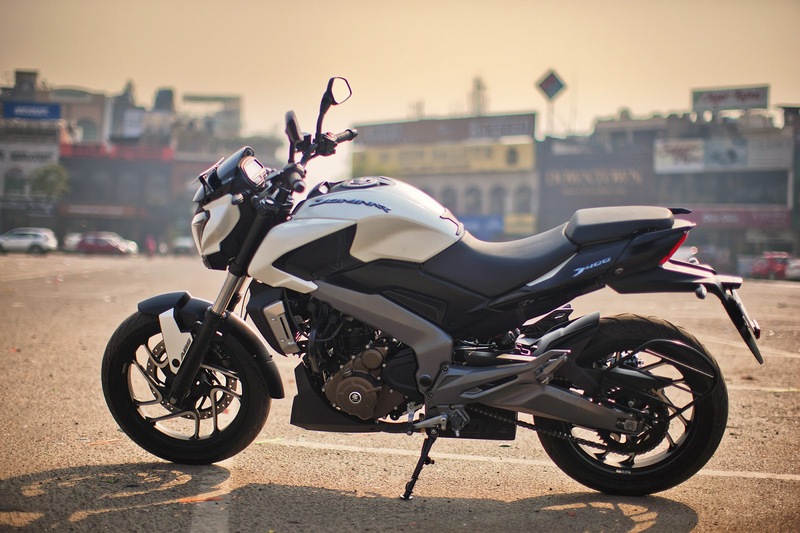 The 373.3 cc, Fuel Injected, Triple Spark Plug, Liquid Cooled mill of the Dominar 400 is mated to a 6-Speed butter smooth gear box, which is put to action by a super responsive Bosch Slipper Clutch. The Clutch Lever is feather light and makes "Fast-Shifting" fun and "Engine-Braking" your second nature. I was able to engine-brake effectively in lower speeds too without any hassle whatsoever and without putting any stress on the engine. 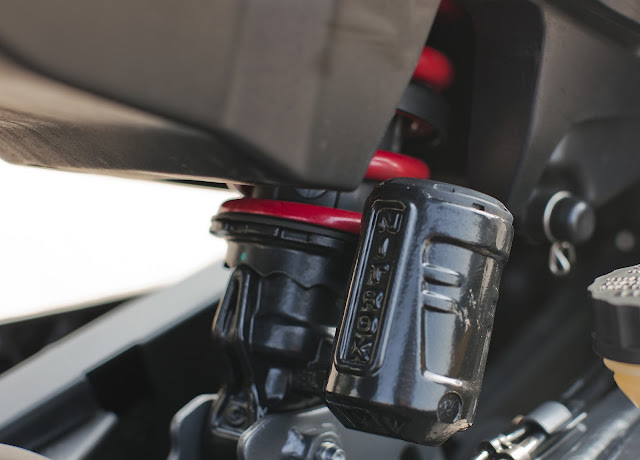 The Clutch lever is light enough to be a one finger operator and the accentuation is GP-styled, meaning, you pull it half-way to engage the clutch and then operate from there, rather than pulling all the way back and then operate. As we always say at ThrottleQuest, numbers don't define a motorcycle, but how those numbers are provided back to the rider is what defines a motorcycle. The 35 PS of Power and 35 NM of Torque coming at such usable range means that the motor would spin up quick, way quick, but would absolutely quite while doing so. The mid range pull is so strong that with just little throttle inputs, the motorcycle thrust forward with gains of 25-30 kmph every second and that's some serious mid-rang performance and all this happens without the rider getting to know anything, because the power and the torque distribution is just too linear and the engine is just so stress free. The Dominar uses the NS Sub-frame and continues on the pressed steel perimeter frame architecture that was first introduced on the Bajaj Pulsar 200NS. The perimeter frame adds a lot of lateral rigidity to chassis, which transpires into a sharp handling riding experience. 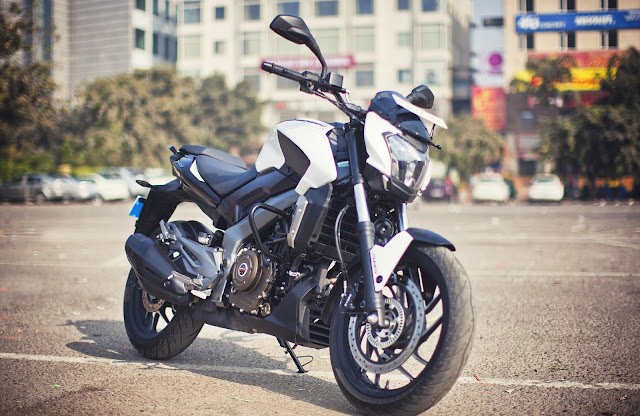 Dominar as a motorcycle is very agile, but then it's not comparable to the agility of the likes of the KTM Duke 390. However, what the Dominar provides is a ton of confidence while negotiating traffic and potholes with amazing finesse. Bajaj has struck gold with the suspension setup of the Dominar 400, and both the front 43 mm telescopic forks and the reach multi-step pre-load adjusted mono-shock suspension are exquisitely setup for both, spirited rides and soaking up the undulations underneath. 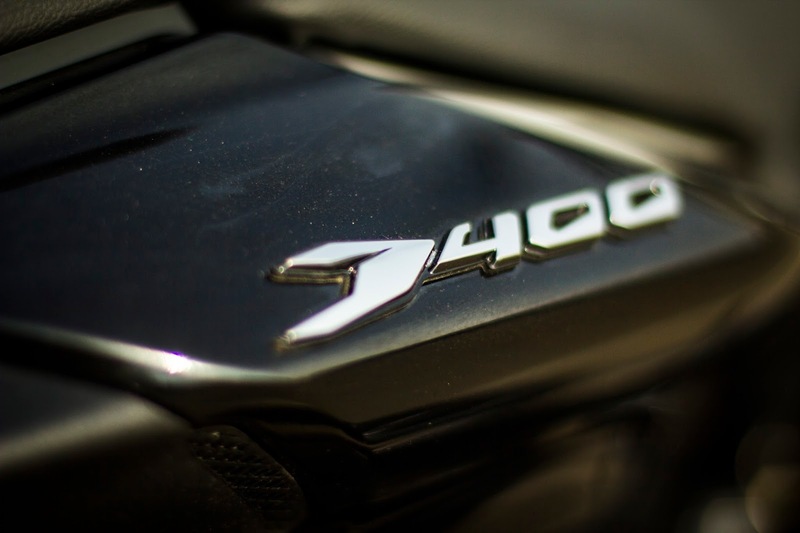 The Dominar 400 just glides over potholes without the slightest hint of being way too soft or sloppy for that matter. 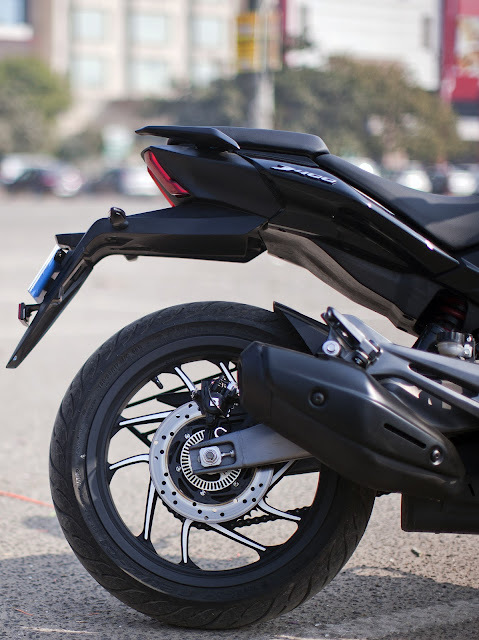 An important role is played by the contoured Stamped Metal Swing Arm, which is a clear deflection from the box type swingarm we have seen on Bajaj motorcycles so far, allowing the Dominar to provide ample feedback from the rear and ensuring that it's working on the undulations of the surface underneath effectively. 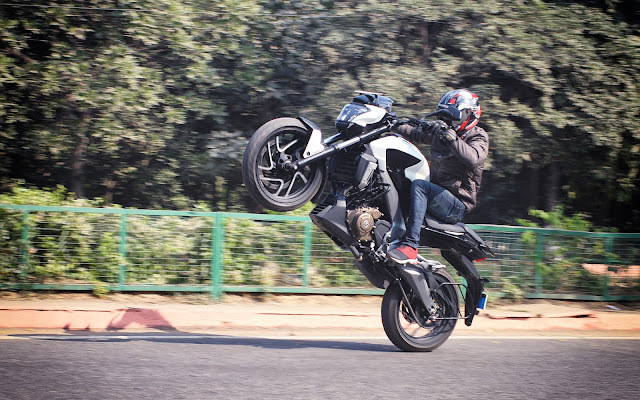 With a 182 kg kerb weight, one might think that it's a heavy motorcycle to deal with, but the amazing chassis and steering geometry of the Dominar 400, coupled with Mass-Centralization results in handling that's infectious to say the least. 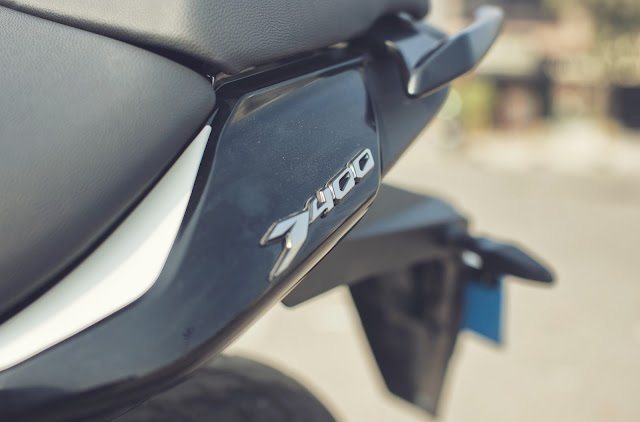 The wide single piece wide handlebar (thank God Bajaj decided to do away with those hideous looking "cut-ons" from the Pulsar NS/RS series) is comfortable and well weighted and allows for precise steering inputs. The 110/70 17 up front and 150/60 17 down rear MRFs are not of the stickiest kinds, but offer amazing grip on all kinds of surface. There were a couple of times when we were able to extract slide out of the rubber, but then we were actually trying to purchase slide out of the rubber. In general riding, there was no way these rubbers would slide. Being a more curved profile (70 front and 60 rear), the rubber aids amazingly well in sharp turns and cornering and we were able to use close to 85% of the rubber surface during our testing, and all that while being totally in control of the proceedings. 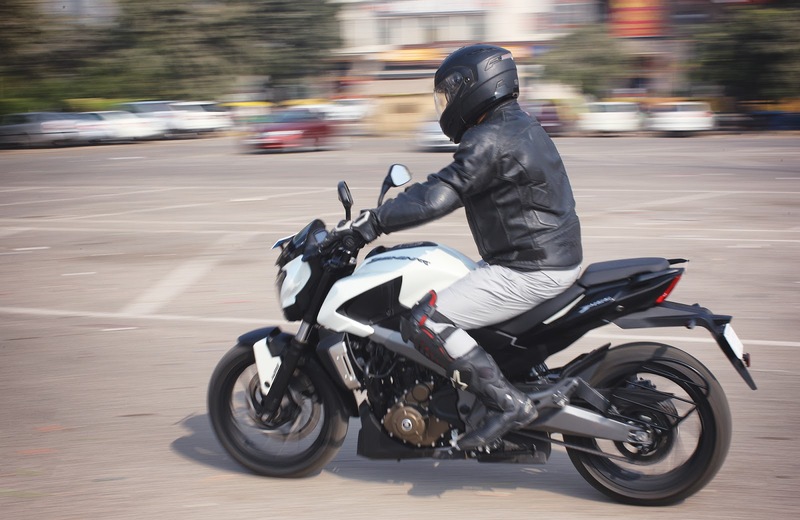 The Resultant of all those chassis inputs, steering inputs, mass centralisation and grippy rubber is that, the 2016 Bajaj Dominar 400, is easily the most comfortable motorcycle to ride and manage south of the Middle Weight category.Even the seats, both for the rider and the pillion are amongst the most comfortable in the segment, or may be a couple of segments above too. 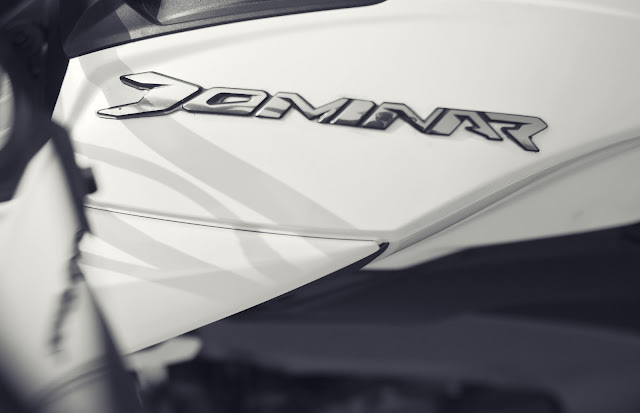 The comfort on offer is so infectious, while you are riding solo or two-up, that it was difficult to get off the Dominar 400 and hand over the keys back without taking one more spin just to experience the ride quality just one last time. 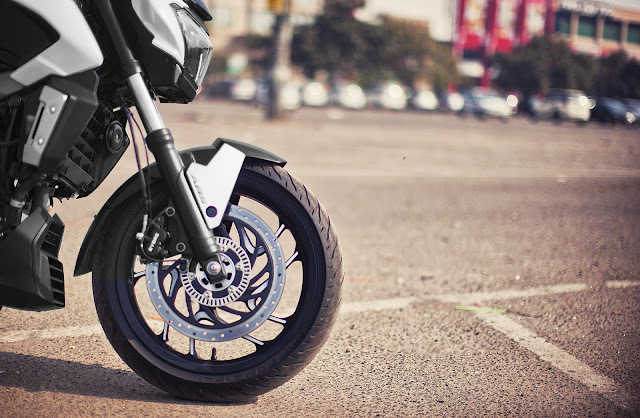 All this performance demands an equally capable braking system, and the Bosch provided Dual Channel ABS system of the Dominar 400, delivered through 320 mm rotor up front (one of the biggest rotor in it's segment) and 230 mm rotor down rear is just the hand of God. The initial bite of the front is just tremendous and inspires galaxy loads of confidence. The bite from the rear system is lacking a wee little bit, but is encouragingly positive. 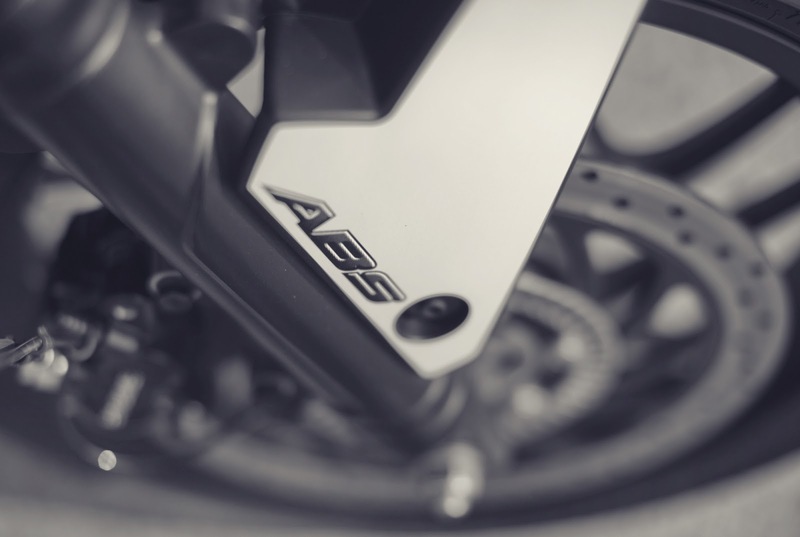 This is how an ABS system should operate - they should provide ample braking power with great bite, but still keeping the wheel under control, and under control they are kept in the Dominar 400. 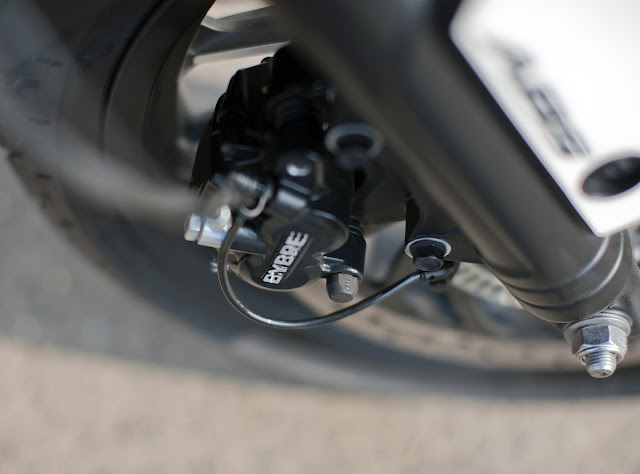 We tested the brakes in all kinds of surfaces the roads of Gurgaon could throw at us, and for every surface we became more confident with every pass. The ABS feedback is also very prominent. 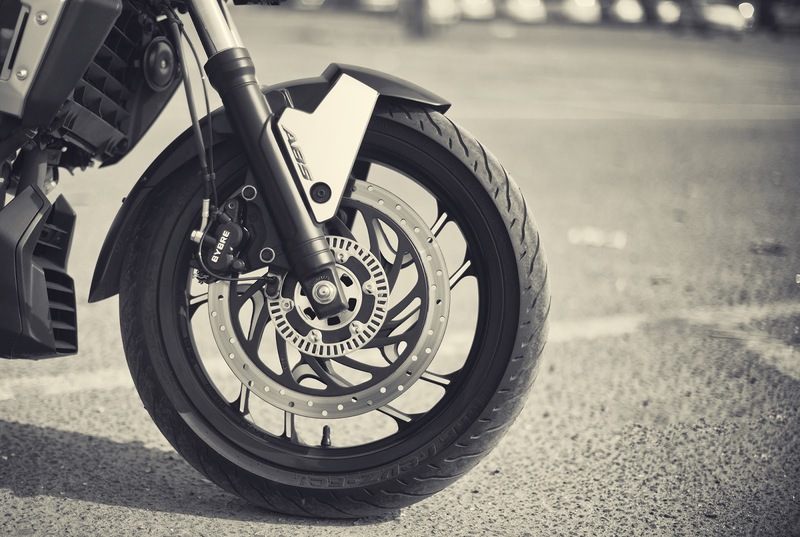 We found it's a little bit intrusive and tries to take under it's control at the slightest hint of pressure difference, but then that's a good thing to have for Indian riding condition. Mind it, this is not a track motorcycle, and this is not track riding, so, an intrusive ABS system is a boon. The Domiar 400 sports a split console design philosophy with the Primary Display console showing all the required "Numbers" from Tachometer, Speedometer, Odometer, Trip meter, Fuel and Clock and the Secondary console mounted on the gas tank cover showing all the required "Indicators" like ABS, Engine Temperature, Oil Level and the Bajaj Logo. 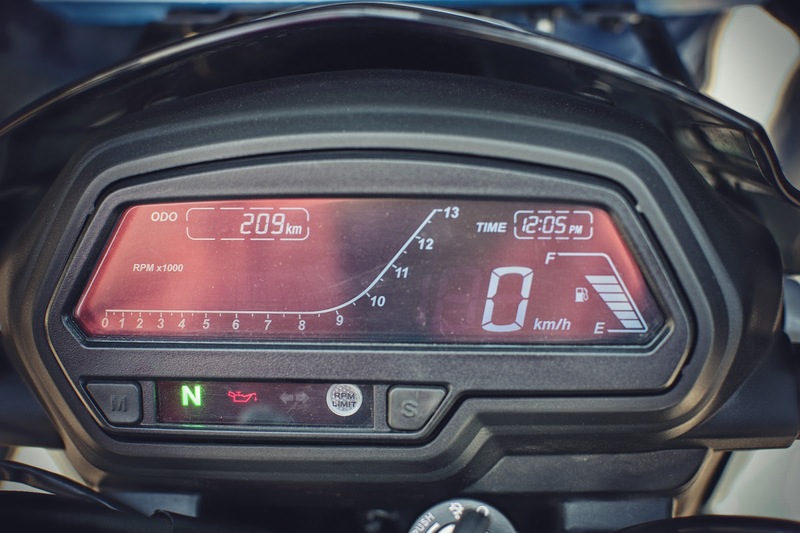 A very nifty design move in order to separate the responsibilities of the display console, and thus providing more space to display the necessary information back to the rider in bigger font. 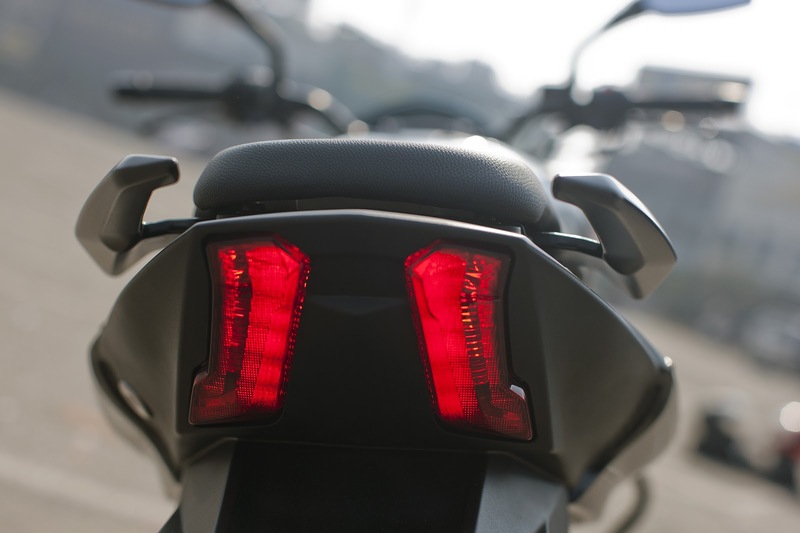 The switch gear is back-lit, as is classic with all Bajaj motorcycles and are very ergonomically placed. 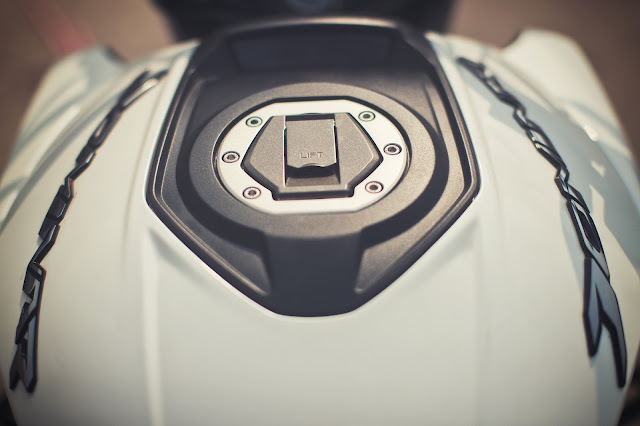 I remember with my palm size, I had to adjust my left hand in order to operate the indicators on the Pulsar 200 NS, but with the Dominar 400, everything falls into place automatically and everything is within reach thus allowing the rider. The Bajaj Domiar 400 is the best that Bajaj has produced from it's stable and is easily an international product. 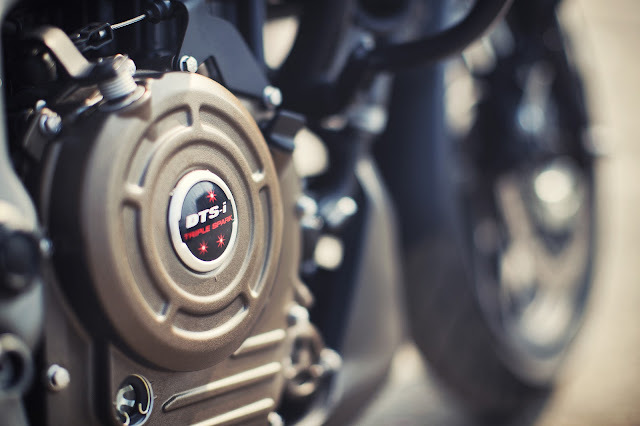 Everything about this motorcycle inspires confidence, inspires a sense of connect and inspires a sense of pride that this motorcycle has been made in India. This motorcycle would be compared with the KTM Duke 390, because we Indians love melodrama and gimmick in everything, but this motorcycle is poles apart from the KTM and they just cannot be compared. 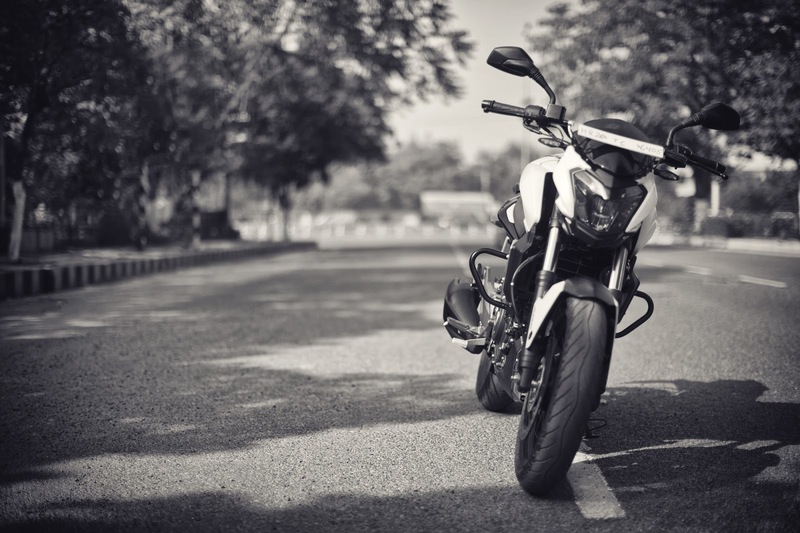 The Dominar 400 is a motorcycle that gives the rider the absolute pleasure of motorcycling, it provides the rider with the experience of the journey and it provides the rider the connect that any rider would love to cherish. A very nice review. Nicely penned and beautiful images. "because we Indians love melodrama and gimmick in everything". Absolutely spot on! :) A very nice review indeed. You didn't mention anything about the mileage numbers? As this is also the primary factor which we Indians love to know about a motorcycle:-P Anyways very nice review. Spot on for all practical purposes! Thanks for your reply. It's very difficult to comment about real world Mileage numbers without having a long term review done. Right now, it's all the company claimed numbers to go with. However, with the performance that's in offer and with the low stressed engine, 22-25 kmpl is something that we can only "guess"
Sajal and Boby great work done. Its really interesting to read your thorough and detailed review. You have covered even the tiny bits which some has missed. And Boby you are a class photographer, loved your pics. What r ur thoughts abt comparing this with Mahindra Mojo? Except pricing of course.. I've test ridden both and I feel engine refinement and comfort level is still better on Mojo than dominar..!